we had 6 first time guest (Thanks Brad!)! not too shabby for a portable church! God is Good! 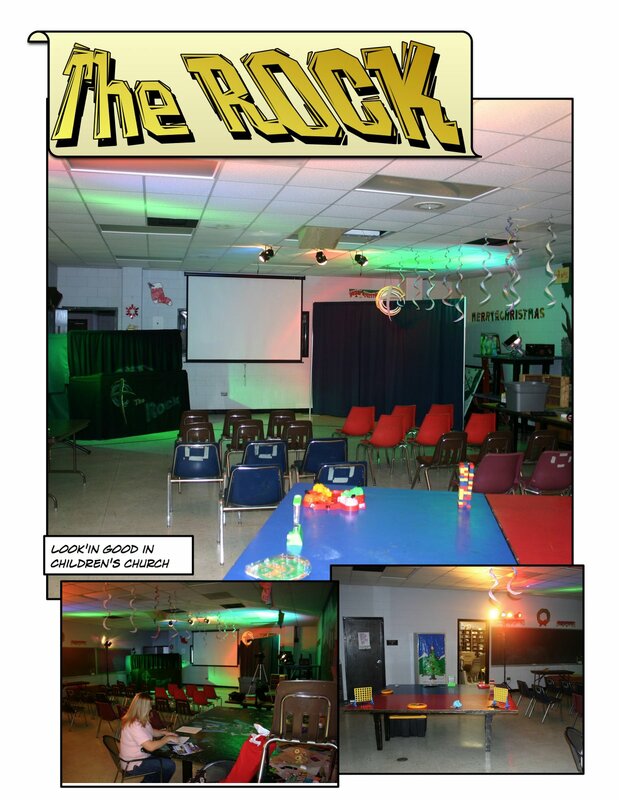 For those of you who don't know: The Rock is our k5-6th grade Church. We call it "The ROCK" after the youth ministry that I got saved under. The ROCK stands for Reaching Out for Christ Kingdom. On most Sunday mornings you will find us teaching the kids a message based on what "Big Church" is getting. We want everyone on the same page and it is working pretty well so far. Discovery Church is a portable church that meets in the local Boy's and Girl's Club. The building is awesome and fits us well. 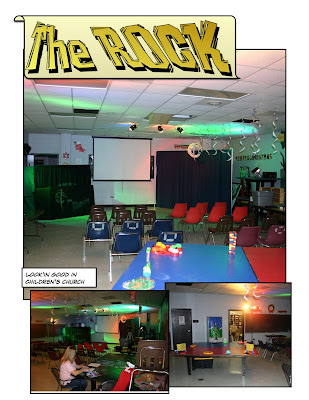 The director of the Club has given us permission to do some permanent install in the Art room that we use for The ROCK. We have mounted a video projector, screen, speakers, lights and wired it all up. We still have a stage to put in and a few other things but our setup and teardown in there is much better than before.